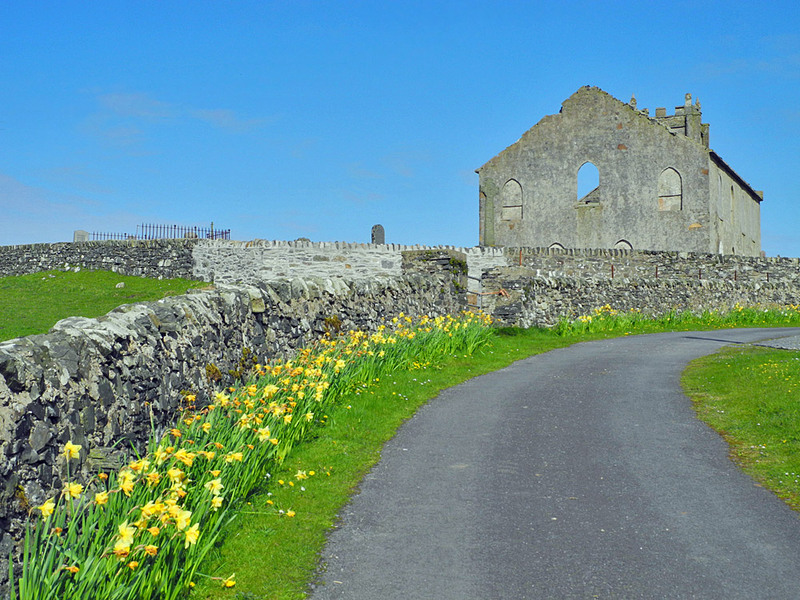 A nice splash of colour, daffodils along the wall at Kilchoman church. At the corner of the church also the Kilchoman cross. This entry was posted in Landscape, Repost, Sunny Weather and tagged Islay, Kilchoman, Kilchoman Church, Kilchoman Cross by Armin Grewe. Bookmark the permalink.